Meet Emily, one of my Class of 2018 Senior Spokesmodels and my first senior destination shoot! 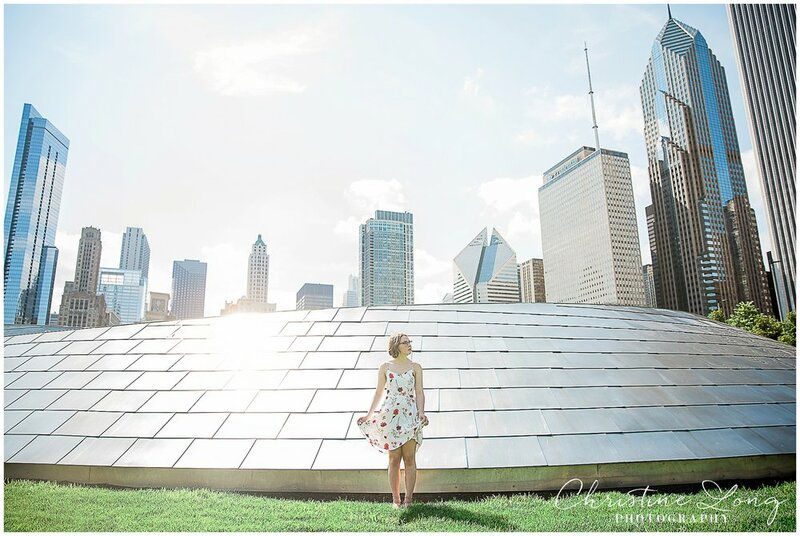 Interested in a destination session (why not have an amazing trip and photo experience all in one)? Contact me HERE for more details on this opportunity! 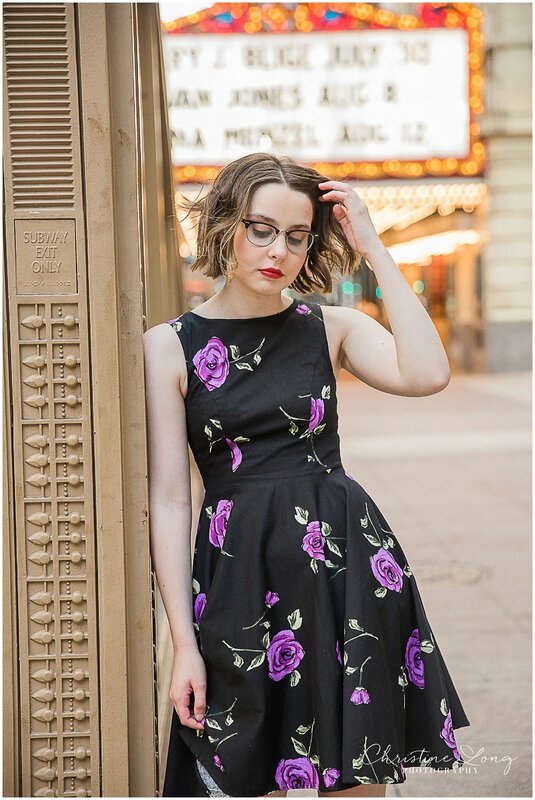 Emily plans on pursuing stage management (a type of theatre production) in college, and Chicago is one of the national hubs for theatre culture. 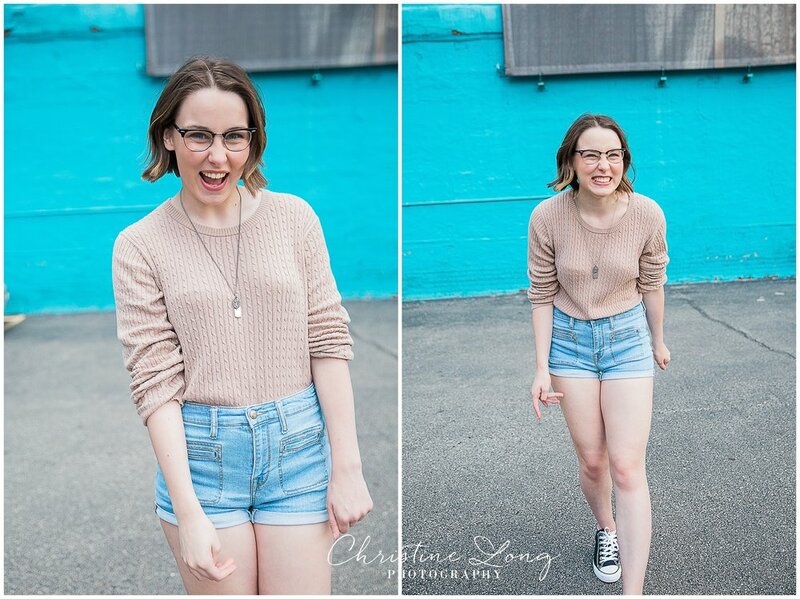 As you can plainly see in these photos, Chicago is where her heart is! 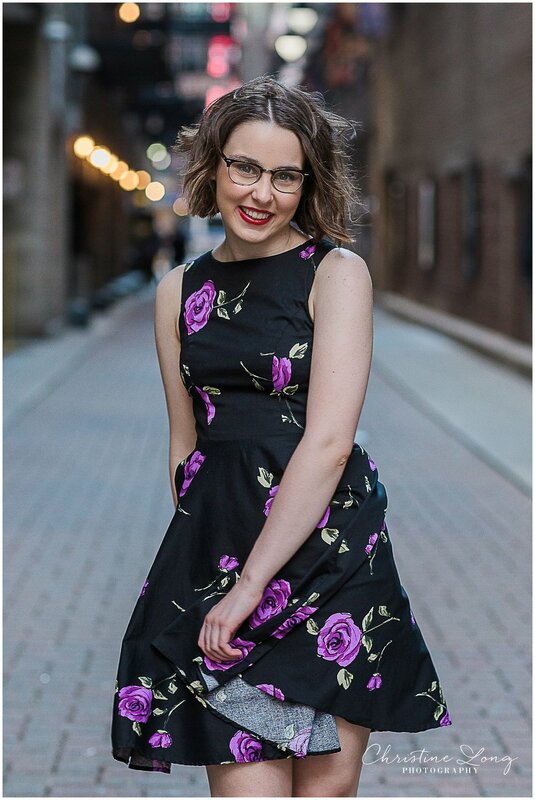 Emily attends Northville High School and is very involved with the drama club and school news program, the Northville News Network. She was looking for a session that embodied not only who she had become, but where she was going as an artist. 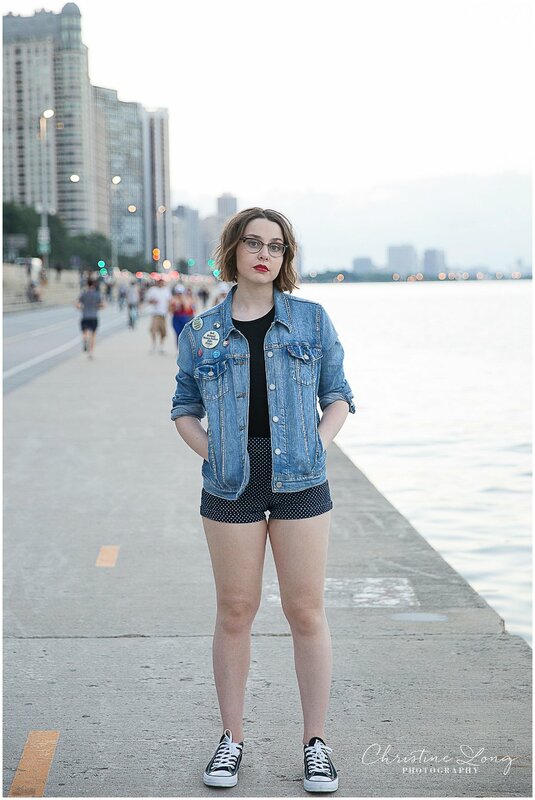 Her cool and casual style was perfect for the streets of Chicago. 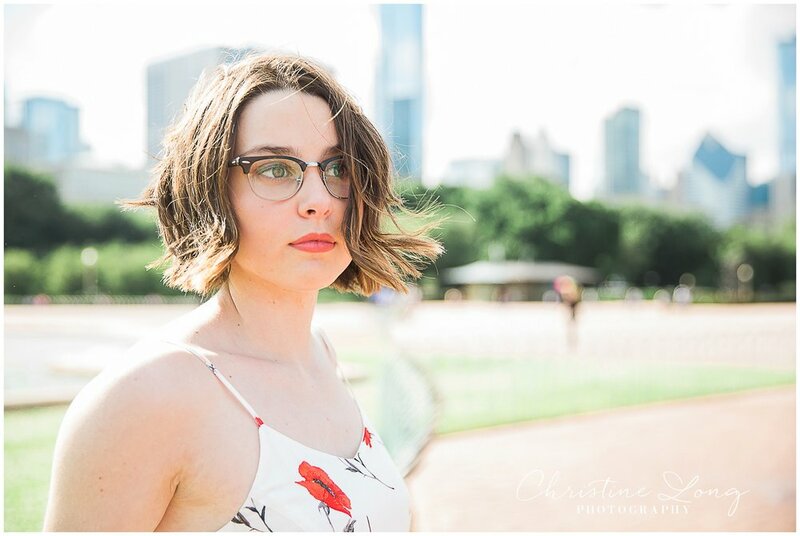 Emily wanted both a soft, outdoor images and the urban feel of the theatre district, and through the magic of Chicago (and a lot of walking) we were able to accomplish both! The necklace she chose to wear with one of her outfits once belonged to her grandfather, and she now wears it every day in his memory. 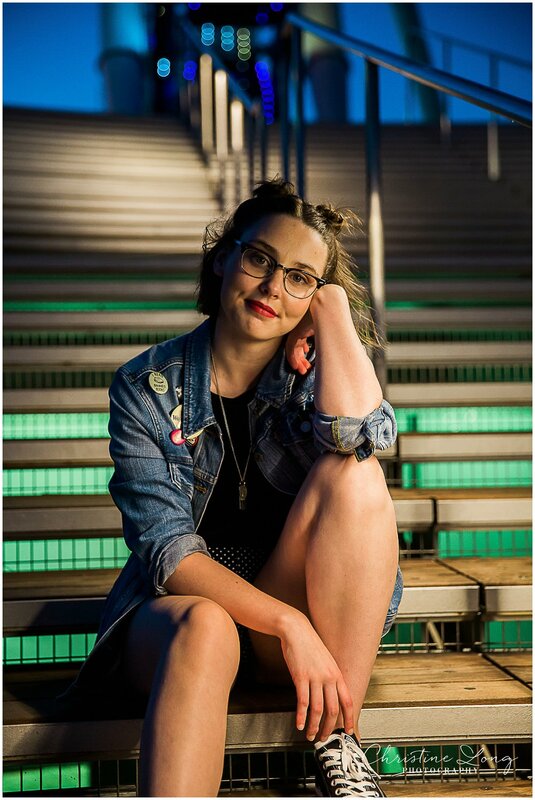 It was wonderful to include something so important to her in these pictures. 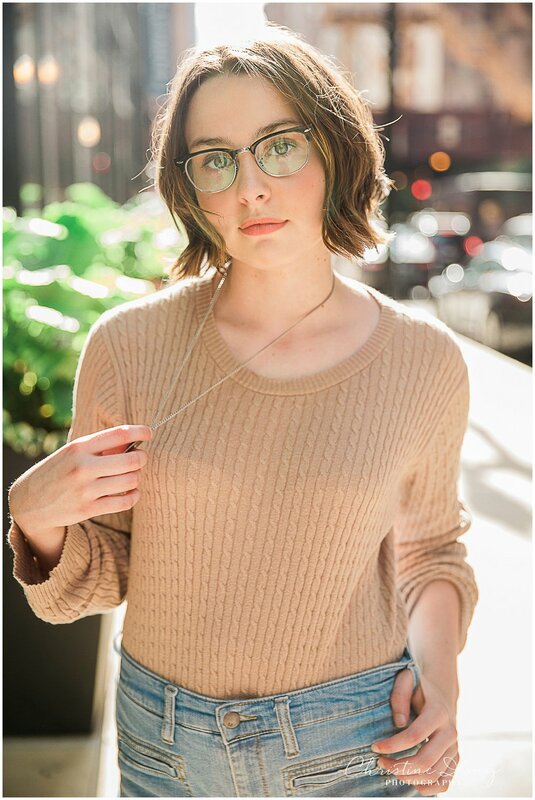 Emily chose me as her senior photographer because “The photos are simply so beautiful because every photo she takes is different based on who she is working with. 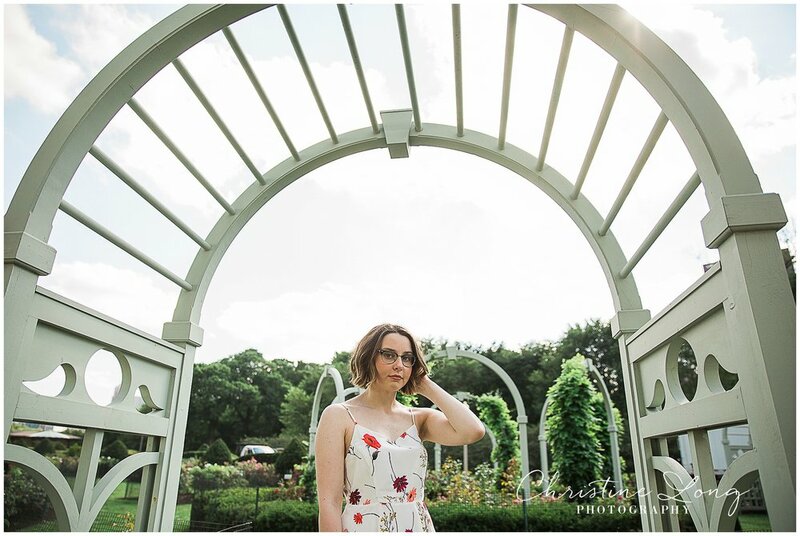 Each image tells a story, and that’s what I was looking for in a senior photographer.” More information about Christine's lifestyle, story-telling approach to senior portraits is posted here.